2. Click the Menu button in the top navigation. 3. 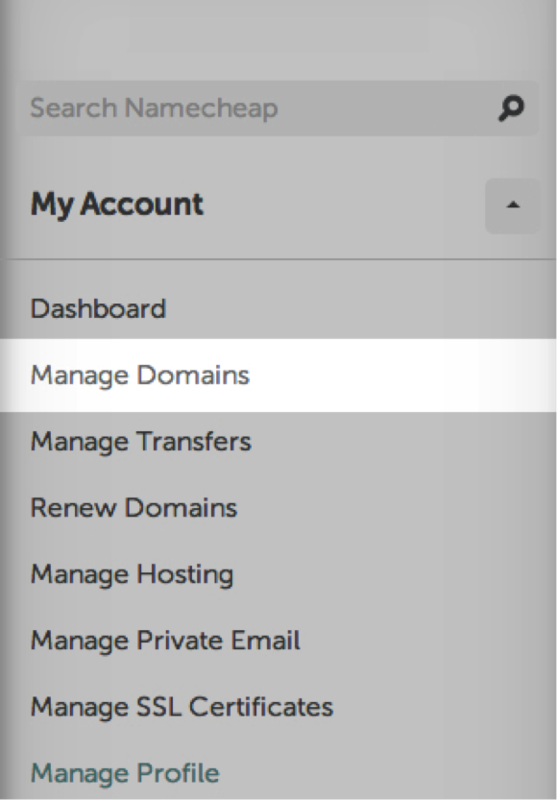 From the list, choose Manage Domains. 4. Find your domain name. Check the box next to the domain name and click Edit Selected >>. 5. 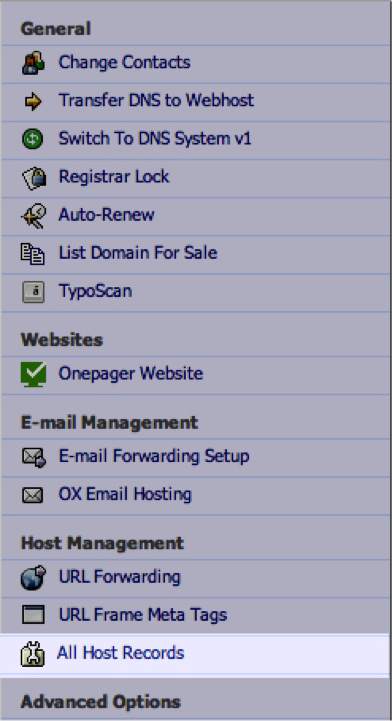 On the left-head menu, click on All Host Records. 6. Under the header Host Name edit the www IP ADDRESS/ URL. Type your domain name address in that box. Under the RECORD TYPE select CNAME (Alias). After you’ve claimed your domain, it can take up to 48 hours for changes to take effect. You can check the status of your domains here to see if the changes have been applied. If you are not able to edit your DNS records from within your domain provider’s Admin section, it’s likely that you have your domain’s nameservers pointed to a third party. To resolve this issue, you must contact your domain provider to have them point your domain’s nameservers to their default nameservers.